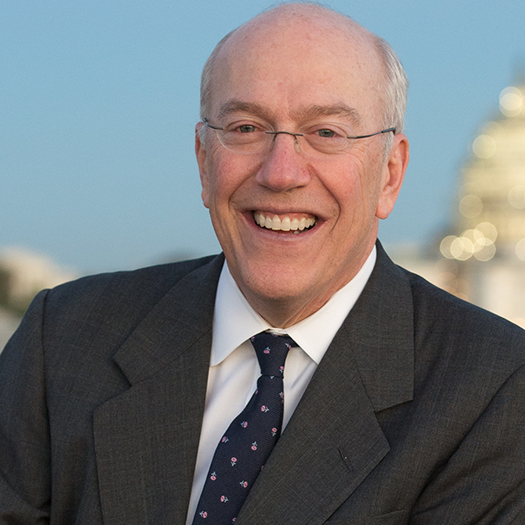 Kurt Newman, M.D., President and Chief Executive Officer of Children's National, is a surgeon and recognized leader in pediatric health nationally and in Washington, D.C. Since becoming CEO in 2011, he has fostered a culture of patient-centered care and championed innovations in research, operations and clinical care. He has forged productive partnerships with other health systems in the region, with government and community entities and with industry at the local, national and global level. He is also a strong advocate for expanding mental health access for kids and has led two national forums on this issue. Dr. Newman joined Children’s National as a surgical fellow in 1984 and became Surgeon-in-Chief and Senior Vice President for the Joseph E. Robert, Jr., Center for Surgical Care in 2003. He was instrumental in developing the vision for the Sheikh Zayed Institute for Pediatric Surgical Innovation at Children’s National, inspired by the bold vision of making surgery for children minimally invasive and pain-free. When the Institute was created in 2009 through a transformational $150 million gift, Dr. Newman served as founding Vice President. Currently, Dr. Newman serves as the chairman of the Children’s Hospital Association Board of Trustees and previously served as the Chair of the Committee on Advocacy and Policy. He is also a member of the board of directors for the District of Columbia Hospital Association. In addition, Dr. Newman serves on the board of the Economic Club of Washington, Greater Washington Board of Trade, Federal City Council, D.C. Chamber of Commerce and Fight for Children. Previously, he served as a board member of commissioners of the Joint Commission, a member of the Board of Governors of the American Pediatric Surgical Association, as Chair of the Surgery Section of the American Academy of Pediatrics, and on the Commonwealth Council on Childhood Success in Virginia. Dr. Newman is a professor of surgery and pediatrics at the George Washington University School of Medicine and Health Sciences. He is a graduate of the University of North Carolina at Chapel Hill and received his medical education at Duke University. He completed his surgical residency at the Brigham and Women's Hospital and also served as the Arthur Tracy Cabot Fellow at Harvard Medical School. In 2017, Dr. Newman’s medical memoir, Healing Children: A Surgeon’s Stories from the Frontiers of Pediatric Medicine, debuted as an Amazon bestseller in pediatrics and earned national attention and critical praise in The New York Times Book Review, The Washington Post and Harvard Business Review.